I haven't recovered from the deluge of previous Percy Jackson: Sea of Monsters materials and here we are again confronted with new ones. That's not a bad thing, right? I mean I should be celebrating for that. Although I still get a feeling that we could be watching the whole movie already spoiling us the fun on its official release. As such, an official soundtrack from the movie has been released over Just Jared. It is a song entitled To Feel Alive performed by IAMEVE. It's followed by two more clips of Percy's first meeting of his half-brother Tyson and another of their encounter of Charybdis. Listen to To Feel Aliveby IAMEVE, for Percy Jackson: Sea of Monsters official soundtrack. Updated: And here are some snippets of all the tracks of the Percy Jackson: Sea of Monsters OST album composed by Andrew Lockington. The Percy Jackson: Sea of Monsters official soundtrack will be available 3 days before the release of the movie, specifically on August 5, 2013. 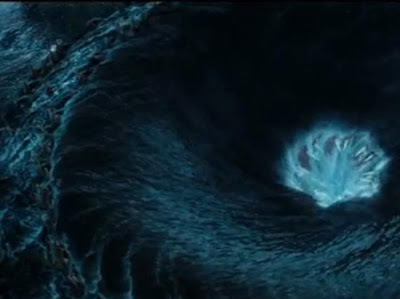 And here two other clips from the Percy Jackson: Sea of Monsters movie. Updated: Also we've got a 12-minute behind-the-scenes of Percy Jackson: Sea of Monsters. Watch this full scenes of Percy Jackson: Sea of Monsters in theaters during the movie's official release on August 7, 2013.